Anything bright is always lovely. More so when paired with neutral makeup looks. I've had this baby for awhile now. A gift from a dear friend. She knows my attraction towards pink lipsticks and I just love her for giving me this. Mememe Cosmetics is relatively new to me. It's definitely a brand with an attitude but has that classy design that girls like me are usually drawn to. To be honest, I have tried only a few from this brand but so far they are all promising. Take their Long Wear Satin Lip Cream. 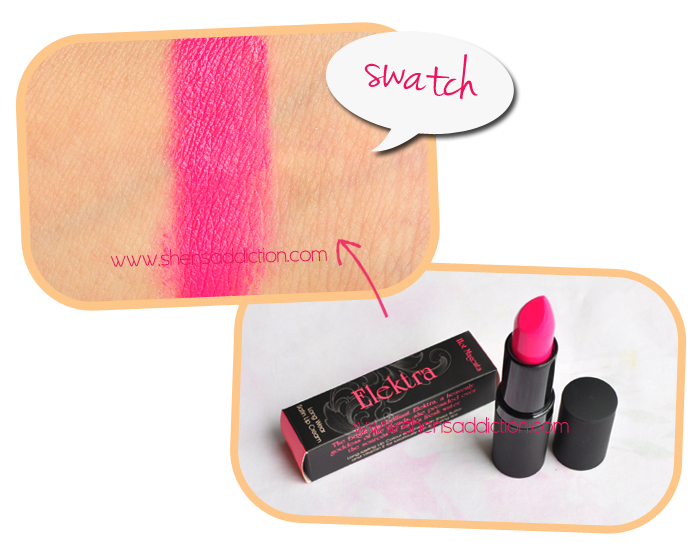 It has that balm-y consistency but leaves a stain even after a few hours of wearing it. Elektra reminds me so much of MAC Show Orchid without the sheen or the shift of purple and MAC Full Fuchsia. Elektra though is as the name suggest Hot Magenta, so there's pink with a hint of purple mixed in. Nothing that you can't wear in public. Great for girl's night our or just for making a statement. 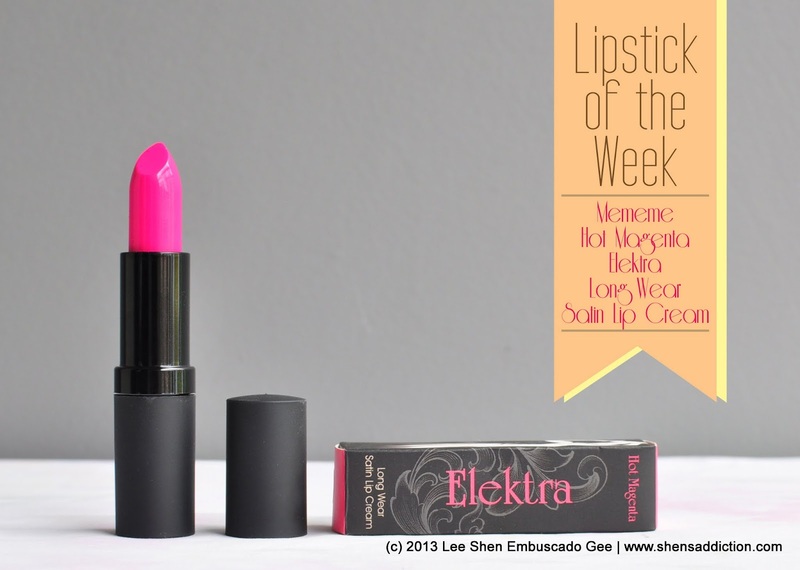 Try Mememe Cosmetics' Long Wear Satin Lip Cream in Hot Magenta (Elektra). You can get this lipstick through Makeupholics. They are having a promo right now.